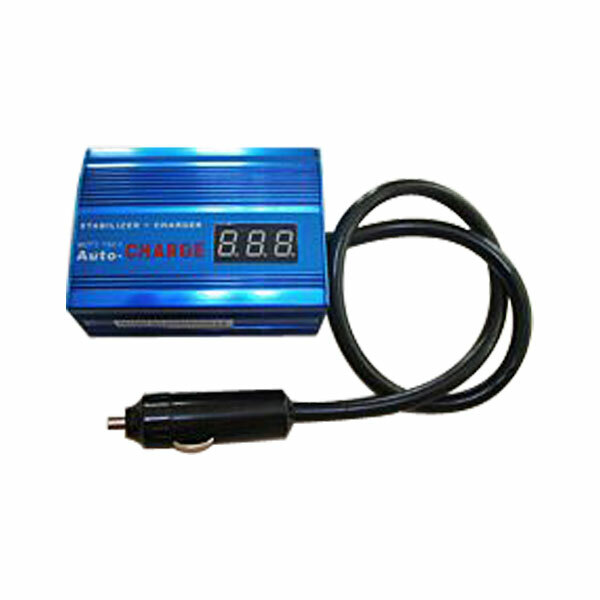 Many problems occurred in your car now are due to unstable voltage supply, and if your car is not taken care of ASAP, it will then worsen to serious problem later. Most of the car owners look for mechanics assistance when having problems with their cars from time to time. They are unable to find the right cause and remedy to the problems, and worst of all, car owners have to compromise to the problems most of the time. As we know “precaution is better than treatment”, like we take good care of our body, we should take good care of our car before it is too late. Small spending in advance is definitely a wise investment, as it has very high cost/performance in returns. 11.Faster RPM response, it gives you powerful acceleration even when your car’s air condition turn on to maximum load. Using AUTO-CHARGE is as easy as reading ABC. Just plug the terminal of AUTO-CHARGE into your car’s cigar-lighter socket and it will work right away. a) Above 12: Normal voltage, battery condition is good. b) Below 12: Abnormal voltage, check battery replacement if necessary. c) LO / below 10: Please replace your battery immediately. Yes, it is very safe to use AUTO-CHARGE as it is powered by DC (Direct Current) from your car’s battery, so it contains no radio-active or magnetic waves at all. Only device run by AC (Alternating Current), like your house electronic devices will emit harmful waves to human body. Besides, installing AUTO-CHARHGE does not change any parts in your car, so it won’t damage anything in your car. Our car fuel economy is very dependent on engine ignition. And ignition is very dependent on ignition voltage. All car mechanics or professionals know that ignition voltage is about 12000-14000 volts. We don’t want to carry such a big coil in our car, so we use induction energy to generate this high voltage from our battery voltage (12V), so we get safe energy. But a dark side of it is, if there is change of 0.1V in battery voltage, by a factoring of 1000 times in voltage step up will results in 100V change of spark plug voltage. So it will affect engine combustion efficiency, mainly contribute to incomplete engine combustion. Incomplete combustion will result in wastage of fuel economy. AUTO-CHARGE main function is to stabilize your battery voltage, store and release energy when there is a change in electrical voltage, hence maintain stable operating battery voltage and induced ignition voltage. As a results, excellent fuel saving from complete engine combustion.